When people are injured in car crashes in Huntington Beach they need a proven, highly recommended and experienced personal injury attorney. My name is Rivers Morrell and I have represented the accident victims of car crashes in Huntington Beach and all of Orange County, Los Angeles and Southern California for more than 40 years. According to recent accident statistics provided by the California Highway Patrol, Huntington Beach has the third highest incidence of motor vehicle accidents and fatalities in all of Orange County. Known as “Surf City USA”, Huntington Beach is home to 10 miles of pristine California beaches and is known for its posh resorts, dining and shopping and outdoor lifestyle. The large 365 Acre “Huntington Central Park” is a location for dog lovers, horseback riding, a sports complex and its famed Frisbee Golf Course. The traffic flowing into this small community on the Pacific Coast Highway Route 1, as well as the Costa Mesa Freeway (Route 55) and the 405 to the north result in highly traveled streets and multiple accidents. Hundreds of pedestrians and bicyclists are injured or killed each year, many of which are the victims of hit-and-run drivers. Hit and run victims must turn to their own Uninsured / Underinsured Motorist coverage, also known as UM/UIM unless and until the driver who caused the accident is identified. These types of cases require experience and expertise, and it is important to work with a seasoned and proven accident and injury lawyer. My name is Rivers J. Morrell III and I have more than 40 years of experience with car crashes in Huntington Beach and Southern California. 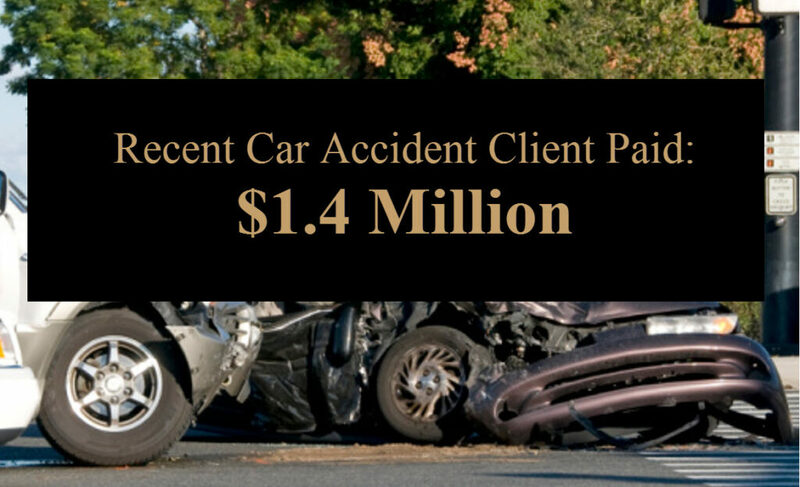 I represent those injured in car accident and motor vehicle crashes due to someone else’s negligence. The primary issue I help my clients to understand is that you only get one opportunity to resolve your case, and it must provide for all of your past, present and future expenses relating to your injury. There are many types of injuries, such as damage to the vertebrae in the neck and back, that take weeks or months to fully present. You may feel ok after the accident, and three or four weeks later you can’t move and are experiencing tremendous pain. My clients appreciate the direct access I provide, via e-mail and my private cell phone. You work with me personally, and I will keep you informed every step of the way. The feedback from clients in the testimonials below as well as the recommendations of the legal industry demonstrate my commitment to achieving the best possible outcome in your case. If you were the victim of an accident in Huntington Beach I invite you to contact us to schedule an appointment or call for a free consultation at (949) 305-1400. There are no costs to you out of pocket as my fees come out of the recovery I’m able to achieve in your case. Huntington Beach is a beautiful community, and you weren’t planning on being involved in an accident. I want to help you to recover from what has happened, so that you can enjoy life to the fullest.